That means that ONE lucky winner could get their entire family in to LEGOLAND for free for a whole year… These are worth £110 each, so the total prize value is £440. Now THAT is worth entering for, wouldn’t you agree? 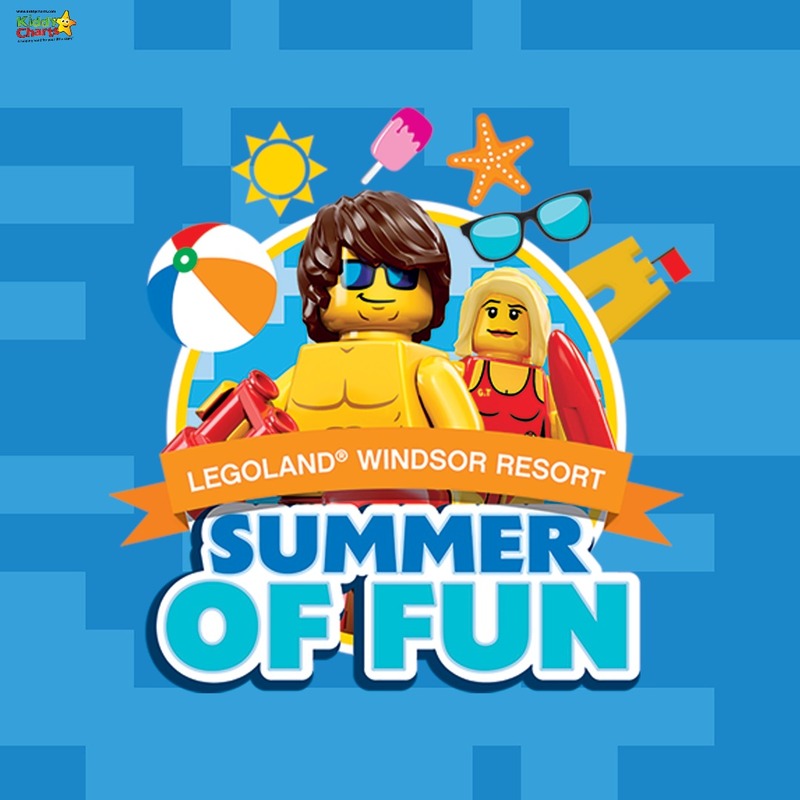 So grab your sun lotion, pack your sunglasses and head to the LEGOLAND® Windsor Resort for a Summer of Fun! The park has an amazing event on the at the moment from July 7th – September 2nd the Resort will be hosting its first ever Beach Party built for kids with pop music, LEGO® build activities and challenges, and even a pop up sandy beach to build your own sandcastles. Plus, meet their special Minifigure guests including LEGO Shark Guy and LEGO Sea Captain. After all the party fun, you can take on the Make a Splash challenge featuring splash-tastic rides such as Pirate Falls, S.Q.U.I.D Surfer, Vikings’ River Splash and Raft Racers to be in with a chance to win awesome summer prizes! Why not take a look and book now at LEGOLAND.co.uk while you wait to see if you have won. Tell us whom you want to win the passes for, and what you love about LEGOLAND on in the comments below as well. Come along in for the Summer of FUN! Thanks so much for coming along to see us today, and do make sure that you check out all the other giveaways in our wonderful Summer Countdown. We have worked really hard for you and have some amazing prizes on offer – totalling nearly £2000 over the 12 days that it is running. Great Prize! Legoland is amazing! Would love to win these tickets for our 2 kiddies, we could have some good family fun! Would love take my family out to Legoland without having to worry about the cost. And if I was the lucky one of the Annual passes, they’d mean we could visit LEGOLAND several times a year! LEGOLAND is the most perfect place for family bonding and the whole family is guaranteed to have a good time!